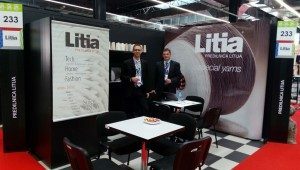 We would like to thank all our customers and associates for your visit at our stand at Fast Textile om Rzgow (Łodz). We had a lot of visitor and hope you all enjoyed your stay and will be happy to receive your enquiry at all times. You can contact our Sales team by e-mailing [email protected]. We look forward to new developments and projects to be created and developed together with you. We stay at your disposal for eventual questions or feedback you may have at anytime. Looking forward seeing on next Fast Textile in 2016, and also on Heimtextile fair in January 2016.